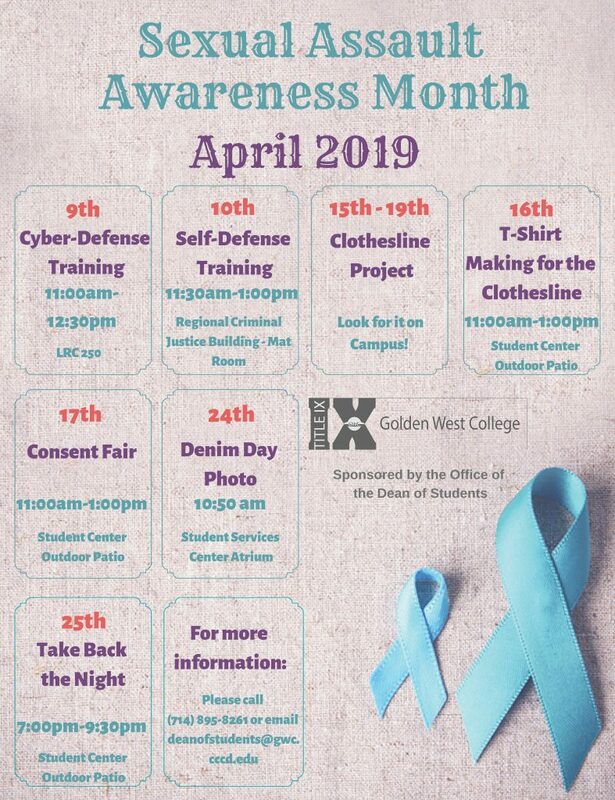 The Office of the Dean of Students and the Title IX Task Force are proud to announce GWC’s first-ever Sexual Assault Awareness Month. Our seven SAAM events are a campaign to raise awareness about sexual violence and how to prevent it from happening in our community. All students, staff and faculty members are welcome to attend. For more specific event details, please email deanofstudents@gwc.cccd.edu.